+LeBurgundyHotel Paris is a delightful discovery. Happily, I had a meeting at the hotel recently, it was my first time visit. The handsome facade is understated, rather British Club-ish but step through the doors and you enter a light filled space punctuated with unexpected contemporary sculptures and colorful art pieces. This particular one caught my attention. I particularly enjoyed that this very large piece was 'reflected' in the floor design. The arresting light fixtures are really contemporary design pieces - very impressive. The contemporary luxury ambiance in traditional architecture is remarkable. Best of both worlds. 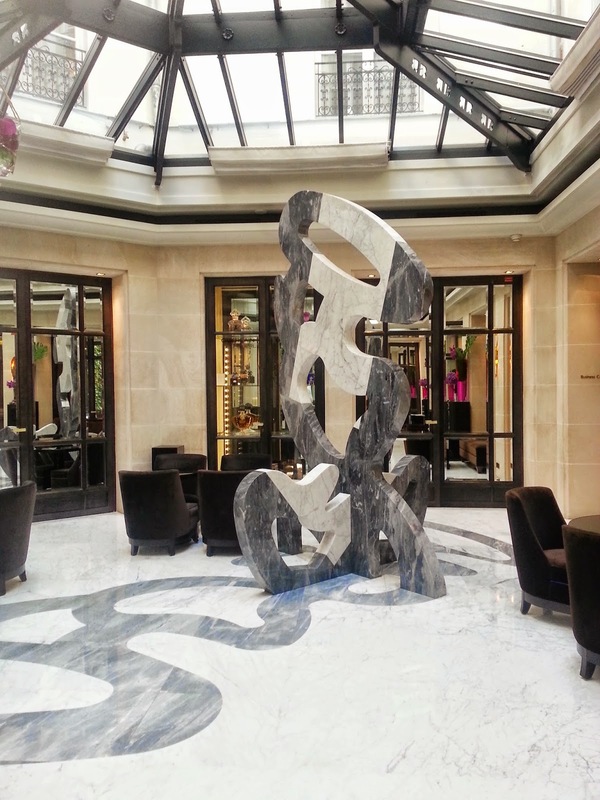 Take a look for yourself and enjoy - the Le Burgundy Hotel's gallery shows many of the artworks ... the video gives a great preview of the hotel experience. UPAEP Digital Sessions Paris students arrive Sunday to start a 4 week program. The program is a collaboration between UPAEP University Puebla Mexico and CMH - Paris. Key sessions will include #digitallandscape module, designed specifically for the PhD + MA candidates, who are attending the program. Participants will post their key takeaways on their blogs, thus accomplishing knowledge share with students back at UPAEP University. UPAEP Students are already digitally fluent as the University uses sites, social media and a native app for communications. View UPAEP YouTube Channel here. Full disclosure - +Omayra Romero of Oneglobe is coordinating the UPAEP Paris program with CMH. +SABI University Founder and President, +Adlan Parsa was interviewed by “Informations Entreprise” Magazine. A number of online learning benefits were discussed. A key concept is advanced degree students can learn online, the eneter the workforce = business talent can stay in native country - reduces brain drain. Full disclosure - I am delighted to be a member of the SABI Univeristy team producing online Digital Marketing modules. +SABI University MiniEx program offers an ideal combination of latest knowledge in international Digital Marketing and Paris visits. Half day sessions are designed to deliver actionable tactics and digital competencies. #Paris location suited for family travel and exploring the City of Light. August MiniEx Program details are available on downloadable brochure. Spaces are still available. Congratulations +L'Atrium Hotel Suresnes on the hotel's successful relaunch! True to its name the atrium at L'Atrium Hotel overlooks many cool corners and is central to the hotel's fun, funky vibe. 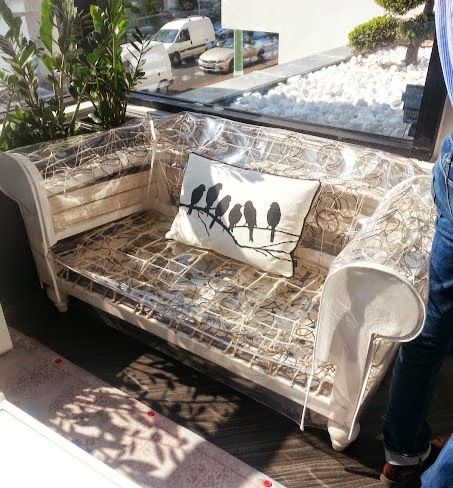 It was a pleasure to discover unexpected flourishes - this is my favorite, a see through couch. 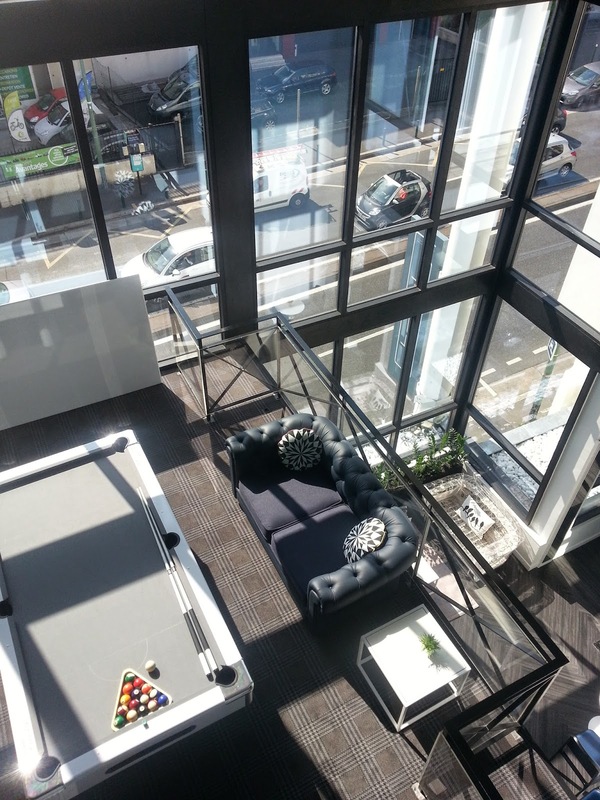 The view from the top floor of the atrium, sunny corners and lots of places to settle in. The ambiance is calm, quiet as the hotel is located in a residential feeling area...however, just steps from T2 (Tram) to La Defense and 10 minutes by Metro to #Etoile and central #Paris. 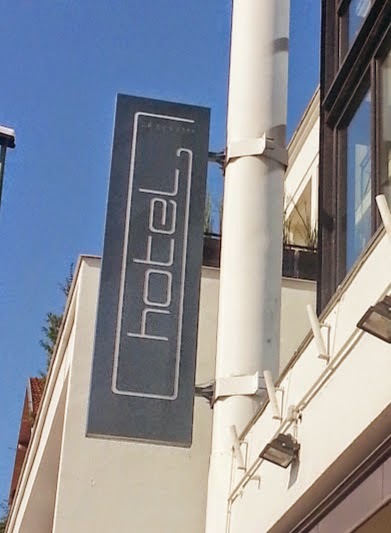 The hotel's exterior is sedate, which makes the stylish interior and quirky touches a delightful discovery. 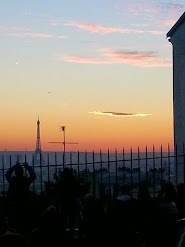 Also unexpected is the panoramic view of Paris from some guestrooms and a rooftop terrace. Hotel Manager Angela Laszlo and her team are personable and welcoming...and happy to have the construction work finished. Again, bravo!! L'Atrium Hotel is owned and operated by LGH Hotels Groupe in Paris. Full disclosure - We at Oneglobe are pleased that LGH Hotels is a client of longstanding. More photos of L'Atrium Hotel Suresnes. +SABI Paris has launched MiniEx Digital Marketing Program for executives that gives new meaning to blended education - learning + leisure. SABI, an ECBE accredited institute of higher education, recognized the need for learning and travel experiences that transcend traditional seminars and tradeshows. Additionally, the velocity of digital change drives a need for executives and business professionals to develop personal knowledge networks. MiniEx Digital Marketing Program was designed to uniquely address these intersecting demands. Full details available in downloadable brochure. Full disclosure - I am happy to be a member of the SABI team that is developing online Certification Programs for Executives - Digital Expertise.